I've personally selected these images for sale from my collection. I add new content regularly and I write a backstory for each image on my blog that you can visit by clicking on the blog link above. 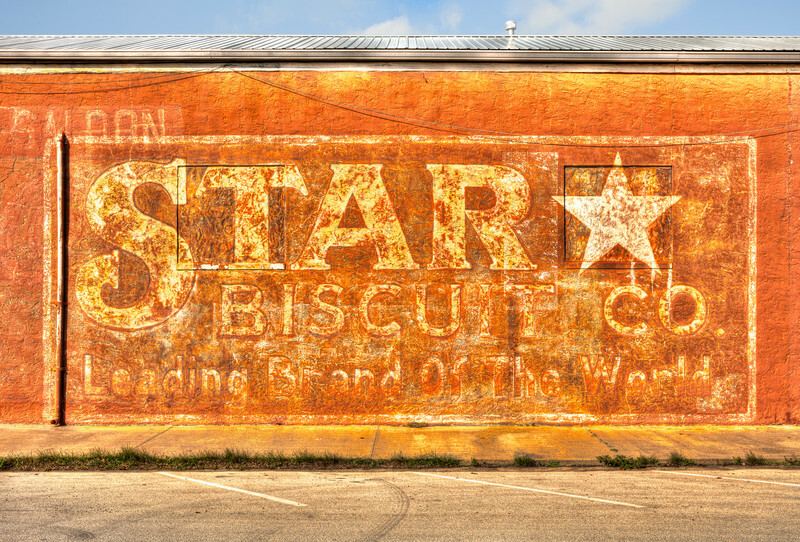 The faded sign of the Star Biscuit Co on the side of a wall in Smithville, Texas, painted as a backdrop mural for the 1998 movie, Hope Floats.